How big is the potential of yourself and the team, and maybe you don't know. 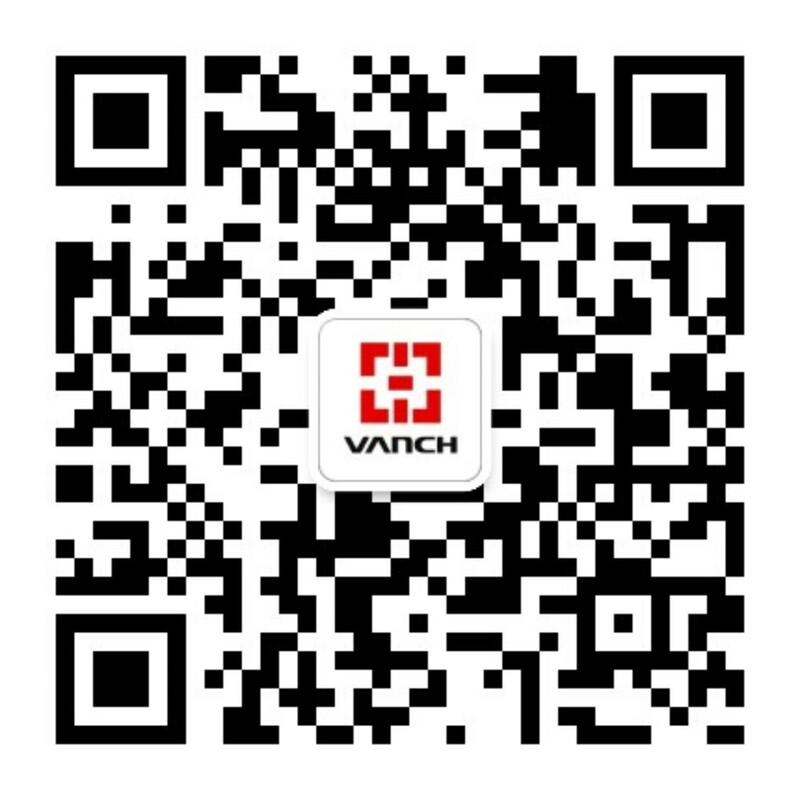 A piece of iron can be the same, saw financial loss, can also be a team, toughened and hardened into steel; the same can be commonplace, can also be accomplished! 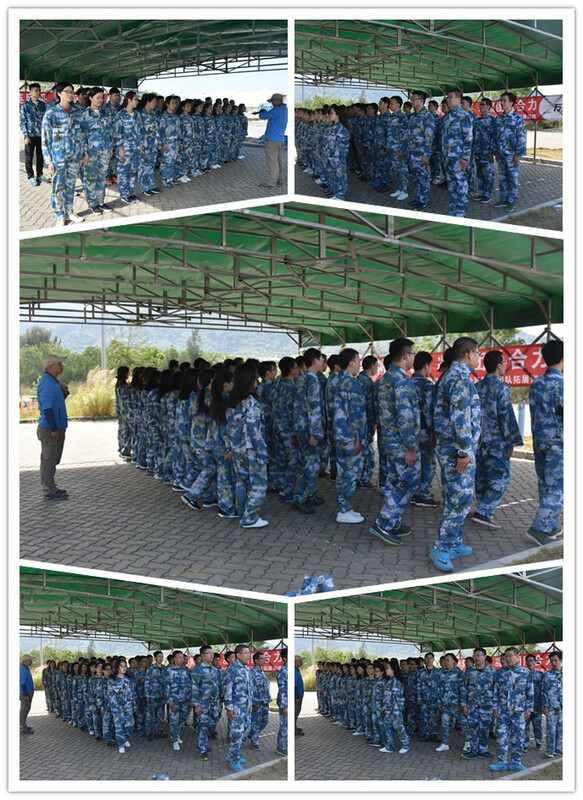 In order to enhance the staff to strengthen the communication ability, executive ability, enhance the sense of responsibility and team cohesion, help staff to explore their potential, enhance the courage to challenge self confidence, Shenzhen Wanquan Intelligent Technology Co., Ltd. in December 1, 2017 -12 month 2 days, organized a grand outdoor activities. 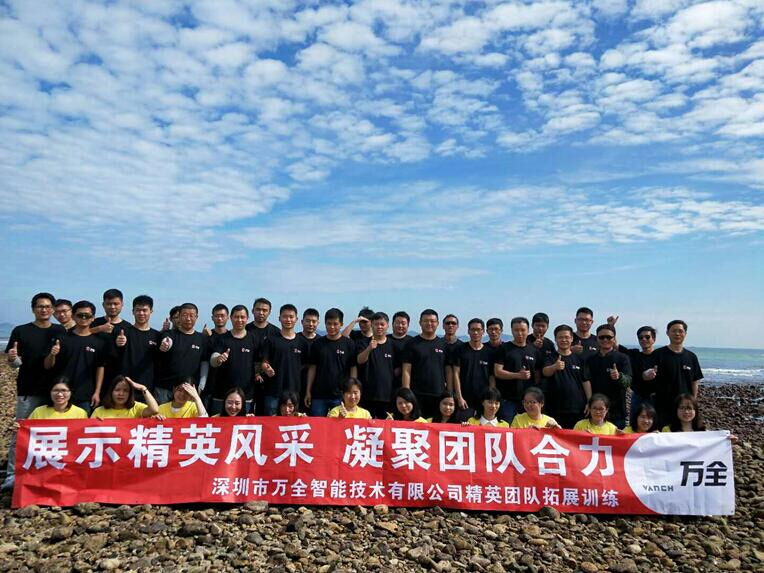 Early in December 1st, the staff of the company came to the company downstairs early, ready to travel to South Australia Seven Star bay to expand the base in front of the company arranged by the company. 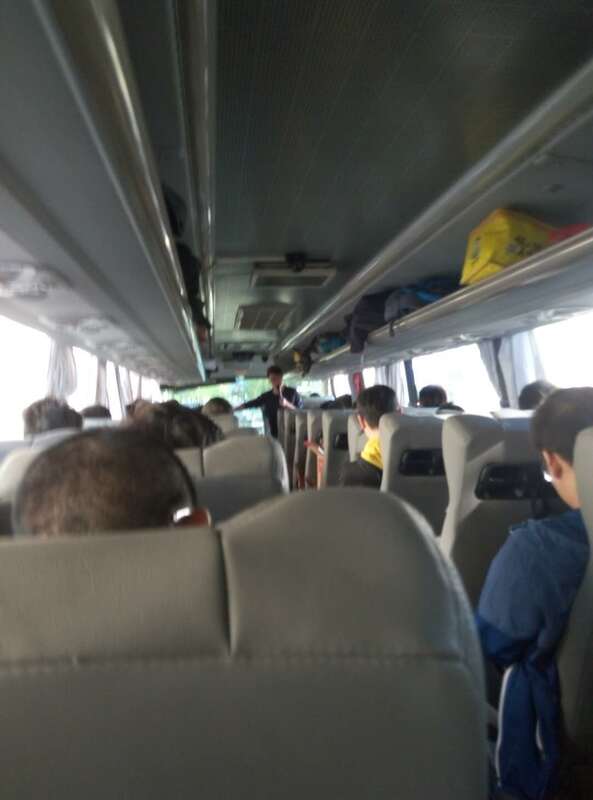 On the way, colleagues listened carefully to the tour guide's two - day plan. It went through more than an hour and finally arrived at the destination. However, we didn't wait until we took a breath. 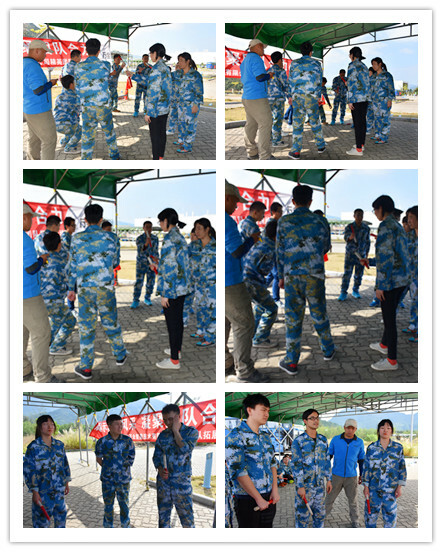 Strict training began. After a short period of familiarity, the coach gave the first order, quickly reassembled to the training ground, and there was punishment when it was overtime. 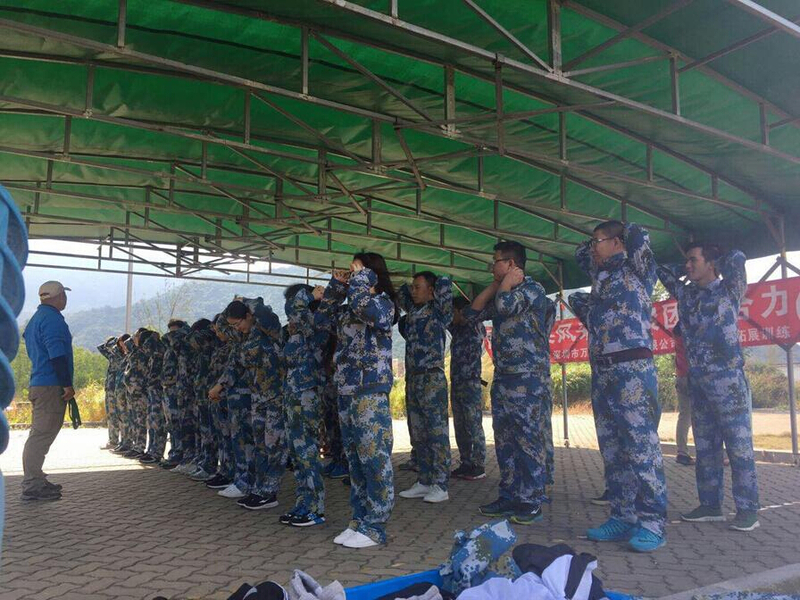 As for the result, all were punished for squatting. 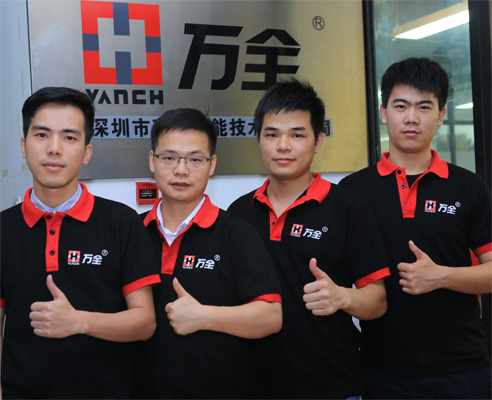 This expansion, the team is divided into 4 groups, for integral competition. 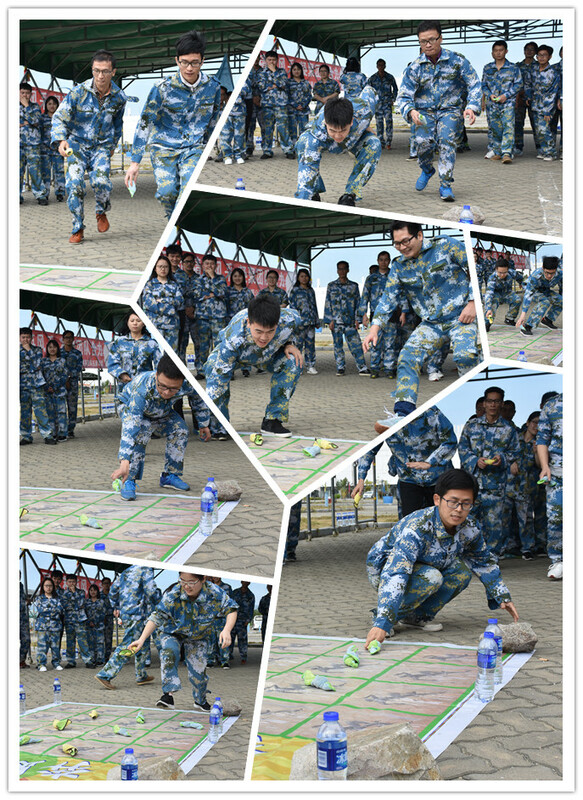 The first integral competition, "ice breaking, warm up", asked the teams to show the team. 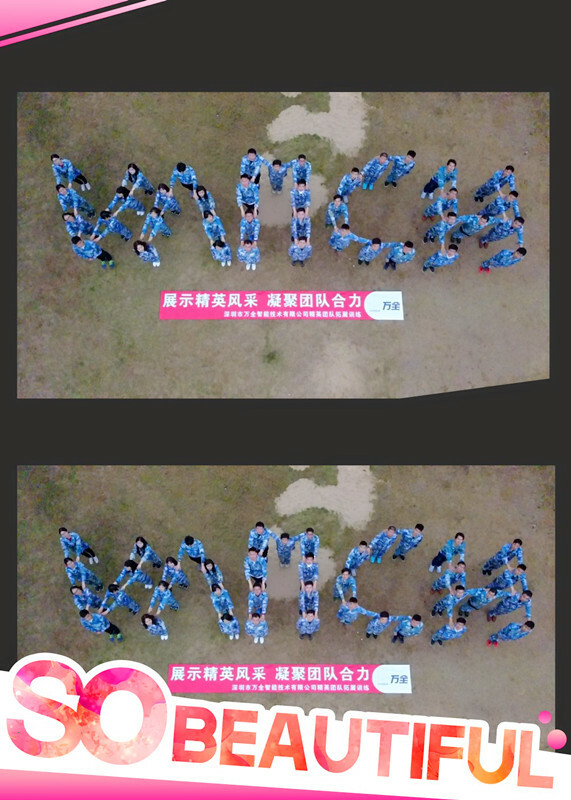 Members in sincere cooperation, benefit by mutual discussion, style show, each group can shout out loud, neat name, slogan, uniform to make a variety of display action, fully demonstrated the spirit of unity and cooperation, full of youthful spirit. The team of wits, the best run, only to be the key to the next chess team! After a short period of time, everyone is trying to achieve the goal that we can't accomplish at the time! Only those who have worked hard will succeed! These activities don't seem to be difficult, but they are very practical. It reflects the importance of teamwork. 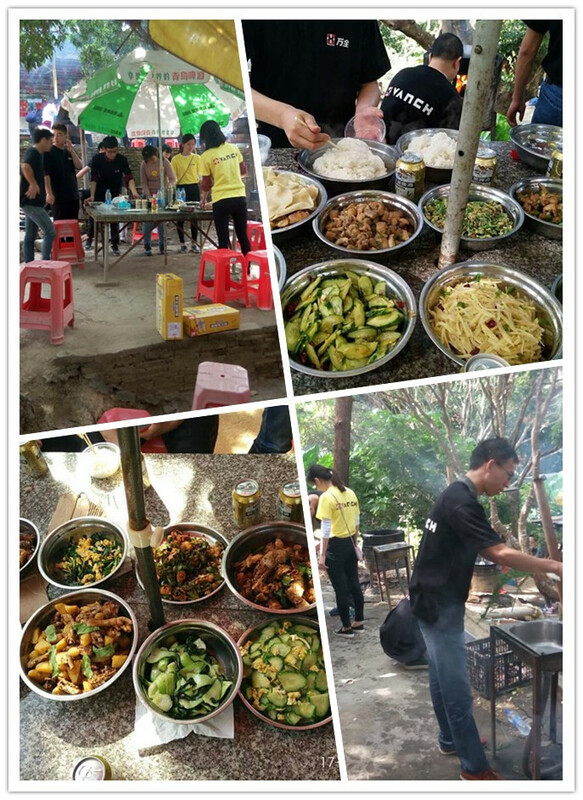 Activities aim to narrow the distance between people, establish the basis of mutual trust and create a harmonious and happy atmosphere. 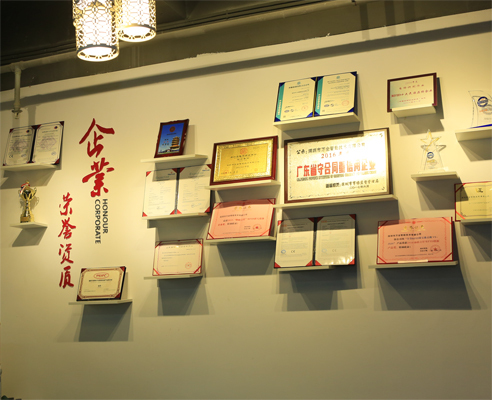 The development of training is particularly memorable and it is the two activities! Every employee will stand on a 1.5 meter high platform, the body is straight back, and the other students take the arm to pick up the player. However, when you really stand up to the high platform, close your eyes and fall, you will have a sense of fear, this is a sense of fear of the unknown! However, when you are firmly held by a pair of hands, there is only one feeling in your heart: you are so good! You hear: without any tools, rely on your hands on your strength to climb a four meter high wall, you will certainly not said. But our team did it! By relying on the strong arms of the main ladder and the shoulders of the vice ladder, we even rely on climbing a pair of powerful hands of the successful people to accomplish this goal which is impossible for us to accomplish. How big is the potential of yourself and the team, and maybe you don't know. A piece of iron can be the same, saw financial loss, can also be a team, toughened and hardened into steel; the same can be commonplace, but also can achieve extraordinary! 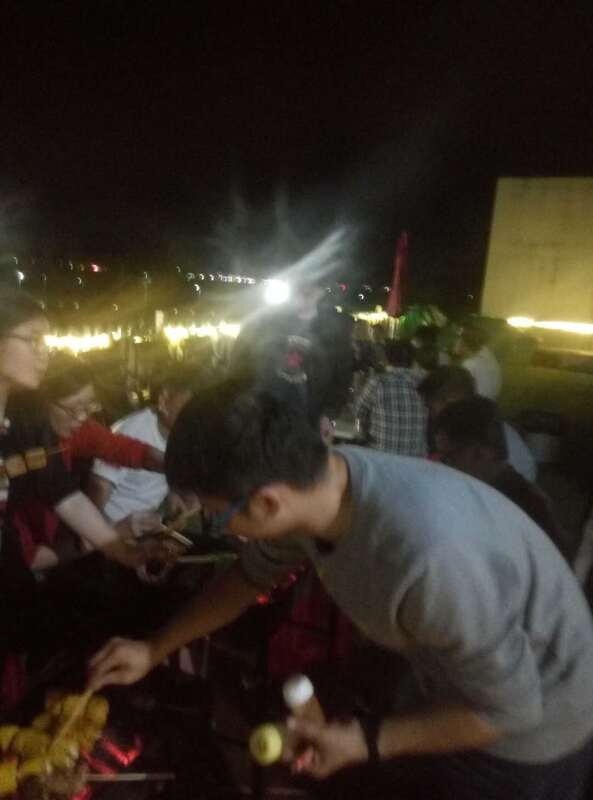 After a day's activity, we finally came to the long - awaited barbecue party! 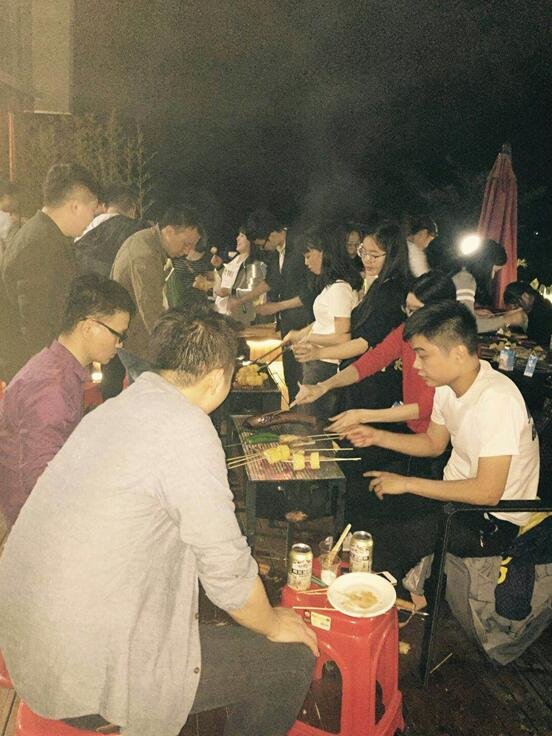 A barbecue party with a combination of music and food is not in vain. 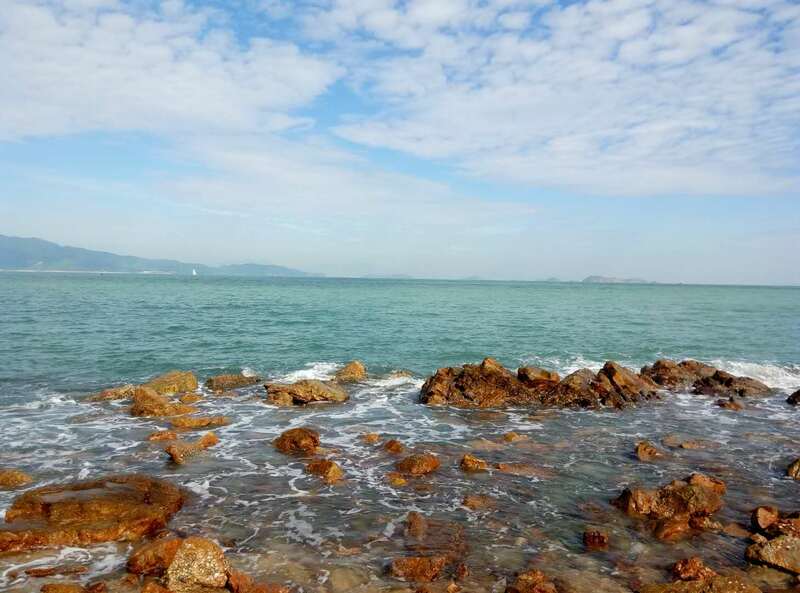 After a night of rest, we took the bus arrived at Yang Meikeng, Yang Meikeng is China's largest artificial reef base! And then choose one of your favorite double or single bicycle in the farmyard along the sea view of Dayawan scenery, when the bike slowly walking in the beautiful coastal highway, the sea breeze fluttering in your hair, your hair is first later your friends or colleagues, and there is the blue sea, the heart is so light, all the vicissitudes of life are gone, only in your face of happiness and satisfaction of happiness is really very simple! 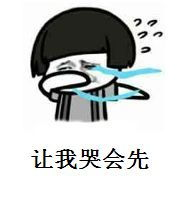 Although the product is not very good, the taste is really delicious, not for food delicacies, the original point of famine. All the culinary scene fix plate, color aroma and taste of the dishes, always can let people taste buds bloom! 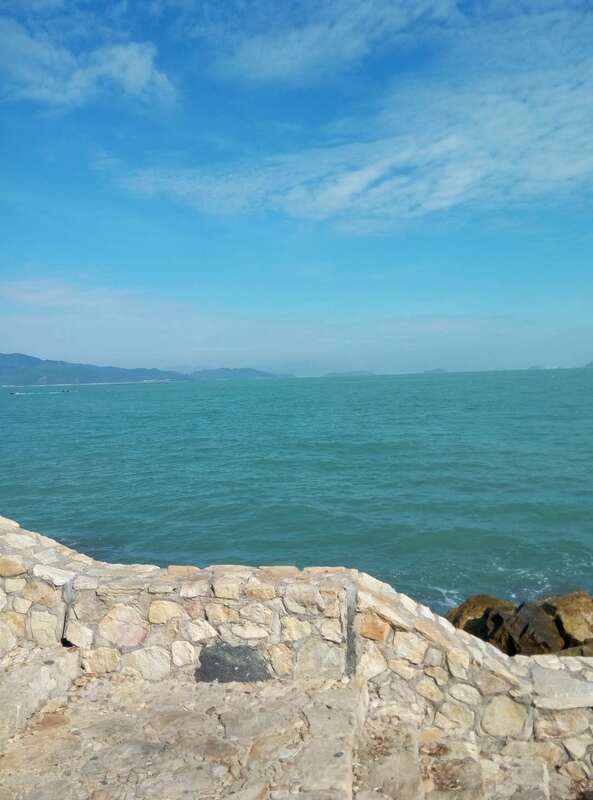 The organization of work and leisure development is a good convergence, a physical and mental relaxation, but also to gain strength into the days after work. 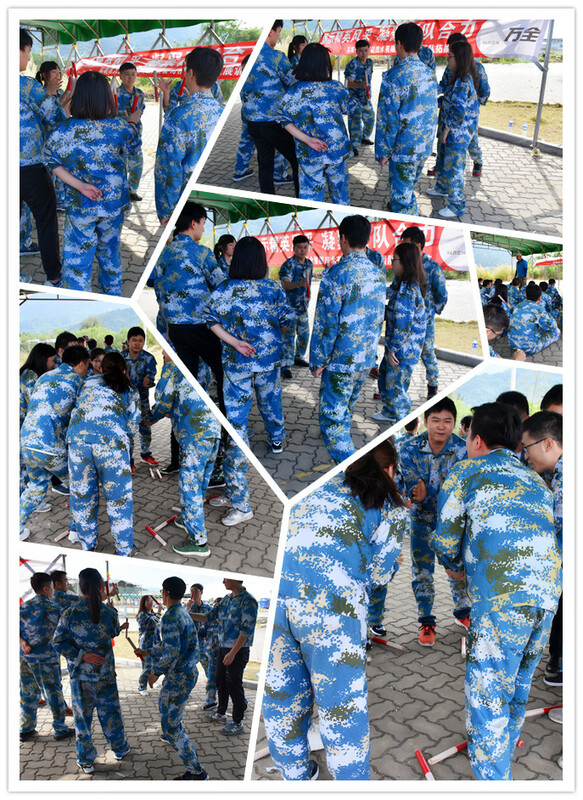 Such a rich team interactive game not only enriches the amateur life, improves everyone's ability to cooperate and cooperate with each other in work, but also inspires team morale, company's cohesiveness and centripetal force. I believe that in the future work, all of us will continue to advance bravely without fear of setbacks, continuous progress and striving for good results. 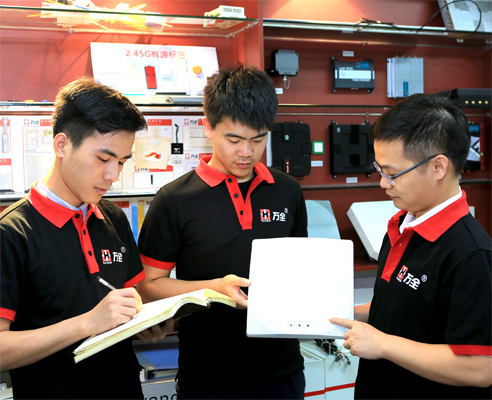 We will know how to cooperate effectively and devote ourselves to the next work with enthusiasm.